Have a little guess as to what this design piece is all about. Maybe it's a one-off, crazy contemporary artificial Satellite that's currently orbiting the Earth (Sputnik is Russian for Satellite), or perhaps a new nikey product playing around with numbers instead of the alphabet for their upcoming, technological advanced shoe that ties its own laces in 5 seconds? Hence the replaced e.
No, in actual fact the Sputnik-5 is a table. 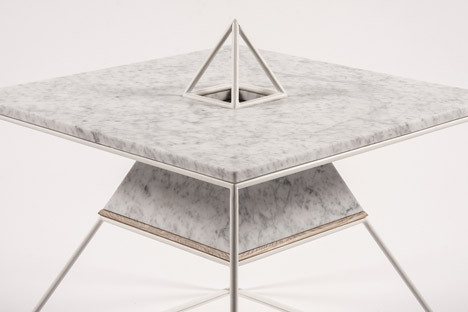 But don't be fooled, it's no ordinary table; how could it be with a name like Sputnik. 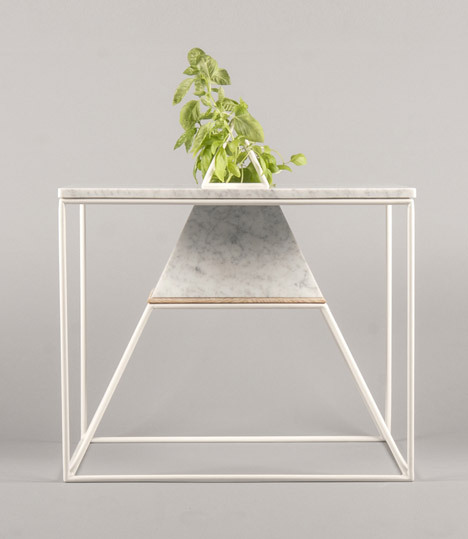 The table by St Petersburg designer Maxim Scherbakov actually houses its own plants within its triangular geometric core. How wonderful and ecological. But how does this table function as a table; with a table imploring a minimal amount of functional requirements, has the Sputnik-5 brief focused too much on our desired green way of living and inhibited the very purpose of the object itself. One could argue I suppose on the fact that it all does depends on the overall scale of the object in question. A grand board meeting room table will be effected very little by the mini indoor growing greenhouse. Whereas a piece of office furniture with various technological equipment situated upon a small wooden square meterage would not benefit from the sweet-smelling honeysuckle plant sprouting from where you'd usually place your mac. You do have to admit though it looks pretty cool. The whole involvement of the three dimensional triangle, not only intersecting but protruding from the standard box-shaped structure is quirky and aesthetically pleasing to the eye - the designer actually took inspiration from the Russian Satellite after all, known as Sputnik 5 in the west launched in 1960. 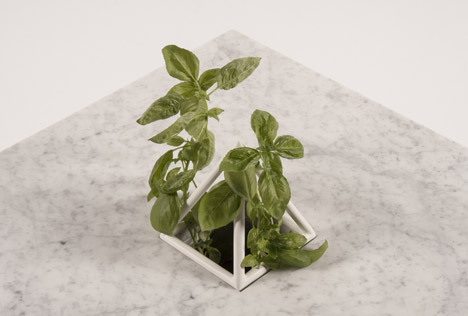 And as the Sputnik-5 is only coffee-table size the space-like design of the pyramid within the structure also acts as a security element, protecting the plant from being knocked by mugs or books etcetera. So all in all, the arty couple living in their classically decorated but contemporary styled Barcelona Apartment would house the plant-growing Sputnik-5 quite suitably in the centre of their lavish lives. How wonderful and ecological.